Spring is here and these camping color pages will get kids excited to head out to the wilderness on a family camping trip. 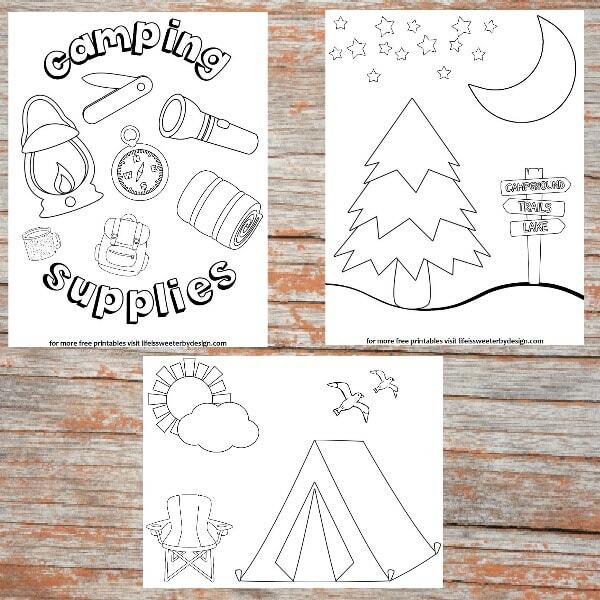 Free printable color pages are a great thing to take along on your camping trip too! I will be the first to admit that camping is not my favorite thing to do if it requires me sleeping in a tent, LOL. If I can rent a cabin in the wilderness I am good to go! Most kids love to go camping and can sleep on the ground without being sore for a week! There is something about the adventure of camping that seems to really appeal to kids. I am sure it has nothing to do with eating smores, LOL! 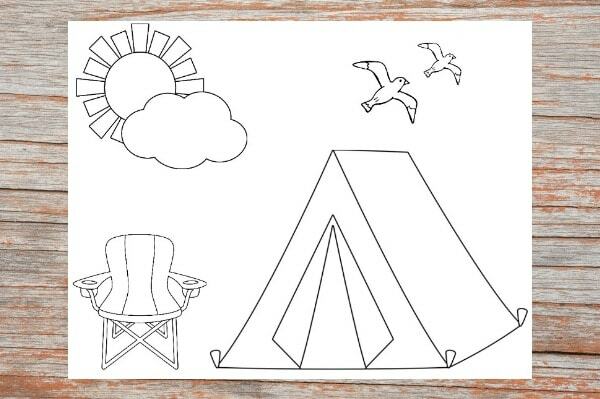 The good news is that whether you are doing a backyard camping adventure or a full-blown wilderness trip…these camping coloring pages will keep kids happy for a little while! The great outdoors has become a very popular party theme in recent years. 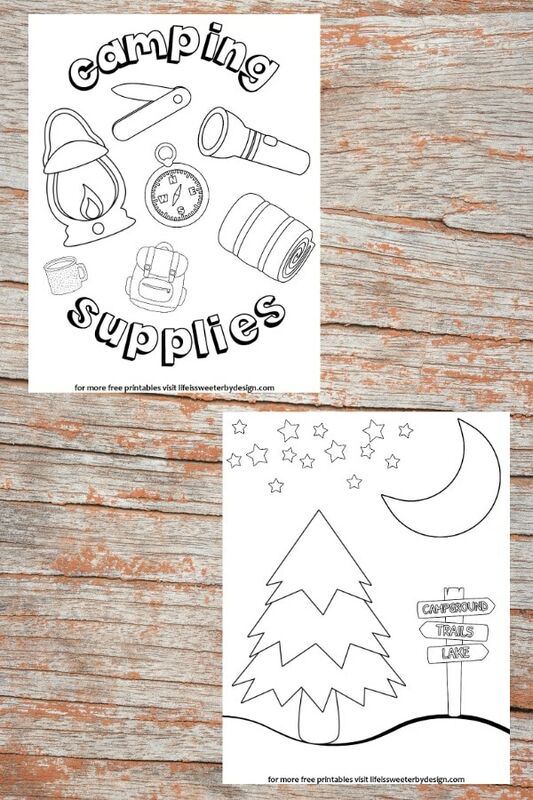 If you are doing a camping or outdoors themed birthday party these camping color pages will be a simple and free activity for the kids! My daughter loves to color all kinds of color pages and doesn't care if we have a camping trip coming up or not to enjoy these! 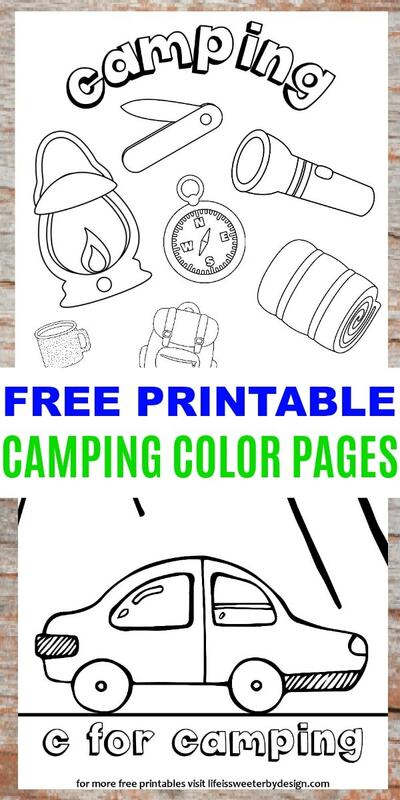 There are four fun camping color pages you can download and print off for your own personal use. Don't forget to SHARE this post with your friends so they can print some Color Pages off too!